Over the past week, you have most likely seen or heard someone talk about the twins being a “mystery team” for either Harper or Machado. Sorry to break it to you, but it’s probably not happening. The first time anything like this was reported was on January 17th by ESPN’s Buster Olney. He listed some real mystery teams like the Astros or the Giants and yes, the Twins were mentioned in the article, but only because we have the money to sign either one. There was no saying that the Twins could actually be in, just that if they wanted to they could be because of their payroll. Derek Falvey actually said “don’t believe everything you read in the internet” when he was asked about the truth to the rumors. It has also been reported that the Twins may already be done adding players for the 2019 season. The front office has been focused on building from within since they arrived (Falvey & Levine) so adding a 10 year $300 million contract certainly isn’t in their best interests right now. Levine also said he thinks the core of their team is now set into place, basically saying they are done adding. Do the twins still have a few holes that can be filled? Absolutely. The reliever market is heating up this week and a player many Twins fans wanted was Brad Brach who just signed with the Cubs for $3.5 million. It also looks as if Kepler is solidified into the starting role with AJ Pollock getting five years with the Dodgers. I would love to see the twins get one more reliever and even another starter, but it seems unlikely unless a deal falls into their lap like last year (Lance Lynn). Will the casual fan base be content with how the offseason has played out so far? Of course not, and they certainly don’t have to be. Even a lot of the professional Twins writers I follow are extremely let done by how the twins utilized their money. I mean entering today with a payroll barely scratching $100 million which is $30 million below last years the fans shouldn’t be too happy. To put it into perspective, that $30 million is about what Harper and Machado want per year so we could definitely fit them in, especially because they will probably only get around $23 million. The front office just wants to see what this current Twins core can do. 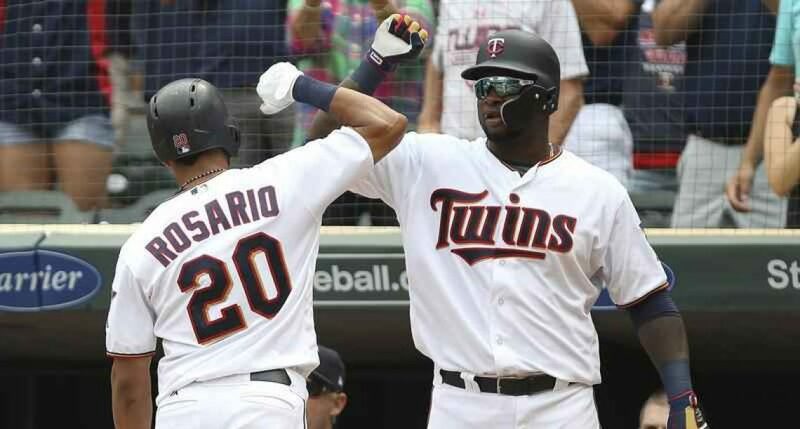 I can see where they are coming from, but after nearly a decade of disappointing baseball in Minnesota and an AL Central up for grabs the Twins should be doing whatever they can. Although it is very frustrating at times, the offseason is not over yet and there are still a few quality bullpen arms as well as a good starting pitcher named Dallas Keuchel waiting for deals. (don’t get your hopes up, sorry.) Of course I have no idea what Falvey plans to do for this season but I hope he is able to pull off at least one more good signing. Thank you for reading my article helping to clarify the rumors surrounding Bryce Harper to the Twins. If you enjoyed please leave a like and share with your friends. If you disagree or have any questions please leave a comment or ask me on Twitter (@EverydayTwins).